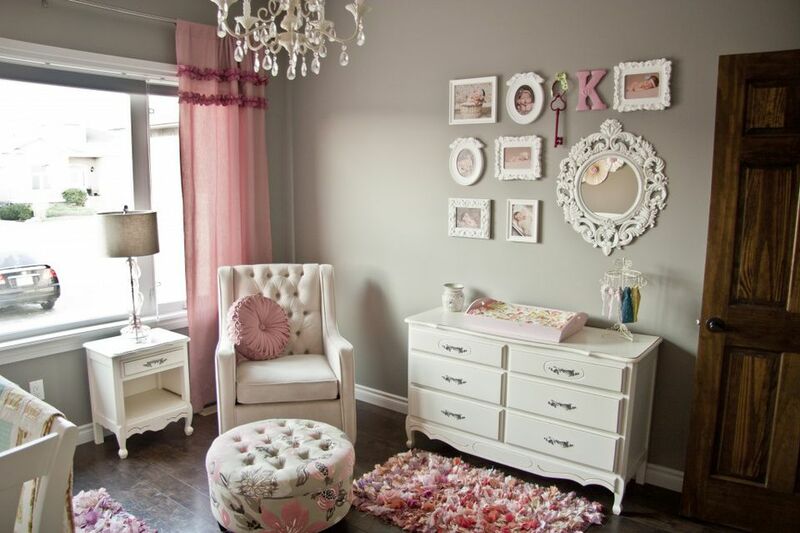 This beautiful grey, white, and pink nursery offers a perfect example of a well-balanced color palette. Photo via Project Nursery. It’s called the “60-30-10” rule, and it’s actually pretty simple. Choose three colors: A primary color, a secondary shade and an accent hue. Paint the walls using your lightest, most neutral color. This is your dominant color and should represent about 60% of all color in the room. Attribute about 30% to your secondary shade, concentrating on textiles and large pieces of furniture, and reserve an additional 10% for your accent color, which is generally limited to artwork and accessories. Since the dominant color takes up more than half of the space, your eye will see it as a unifying factor, tying the room together. The secondary color serves to break up the dominant color, creating much-needed contrast. Used sparingly, a pretty accent color provides visual interest, giving the palette an innate sense of energy. It’s a perfect, three-step recipe for success! Don’t feel like following rules? No worries! Decorating rules are made to be broken! There are certainly other ways to achieve balance, but if you’re new to the decorating game, this handy little formula can be a real sanity saver. Looking for more professional hints and decorating tips? Check out these 11 Tips for Designing Magazine-Quality Kids’ Rooms.